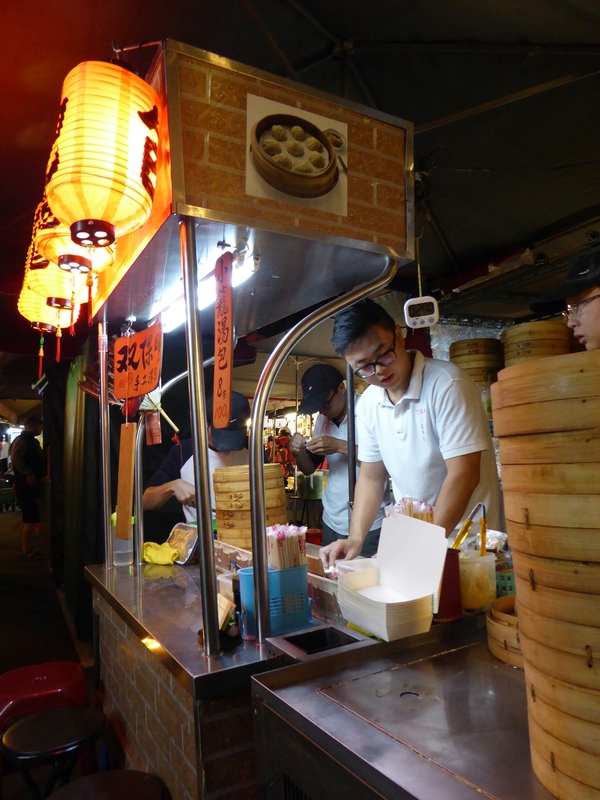 The street food night markets of Taiwan are a fabulous way to eat. Grazing your way around a lively, friendly, food festival is a great way to spend an evening. In Taipei, we were able to visit five different venues but there are many more located all over the city. Visiting at 6pm means you won’t need to queue too long but some stalls will only just be setting up. Our Taiwanese Airbnb-mates would usually go at 10.30pm. Shilin night market (Jiantan or Shilin metro line 2) – this was the first night market we visited and we loved the vibrancy. There are many shops as well as food stalls so a good place to spend an evening. We were told that Shilin is for tourists and luckily my entry visa states that I am one! There was also a market next door where teenagers played fairground games and queued for giant battered chicken pieces. Its good for people watching. 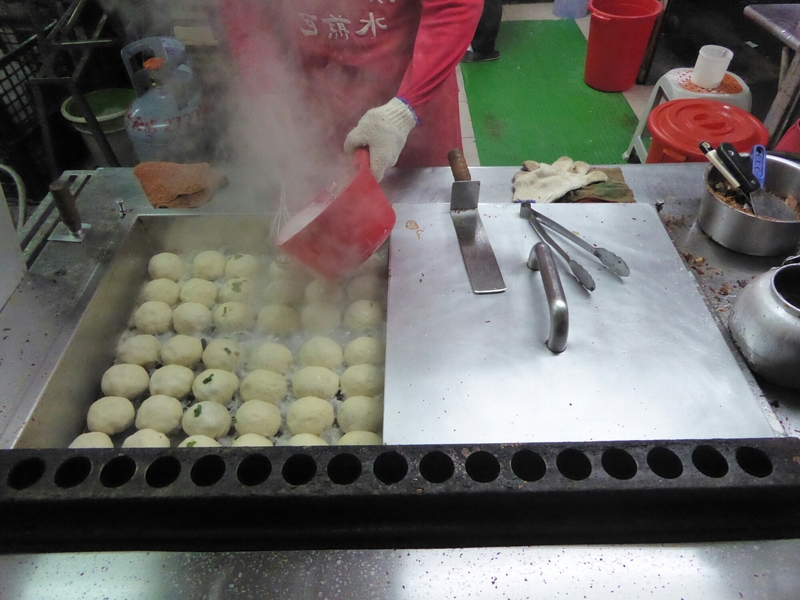 We tried octopus balls, chicken popcorn, and pork buns baked in a tandoor. 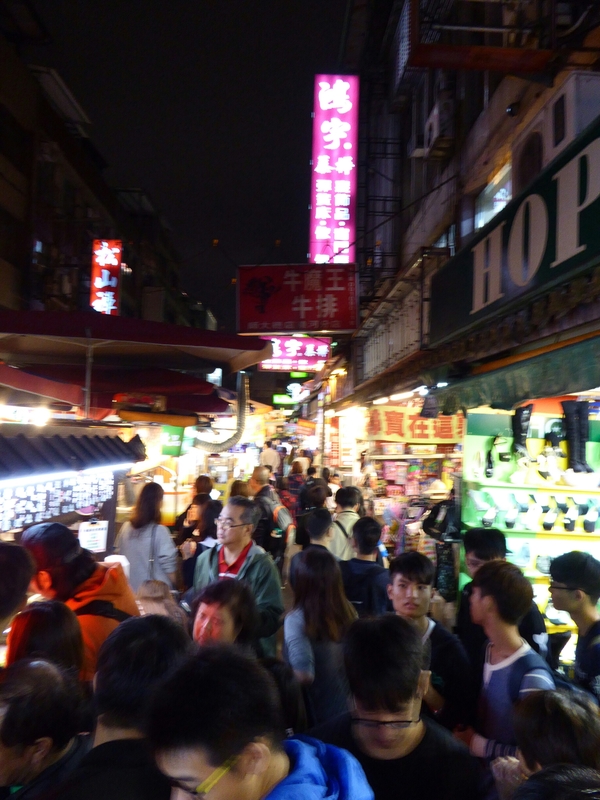 Raohe night market (either Yongchun metro line 5 / Songshan metro line 3) – I believe this is the oldest night market and is a pedestrianised lane. Some of the stalls have small tables and stools where you can perch. There was a great variety of food choices and we tried pork buns, fried dumplings, okonomyaki, and spicy sausage wrapped greens. A special mention needs to be made about the xiaolongbao stall where we watched three young guys make the delicious dumplings before we tried them. We like xiaolongbao a lot and so we have tried them a lot. These were very, very good. For the combination of food variety and fun, this was our favourite market. 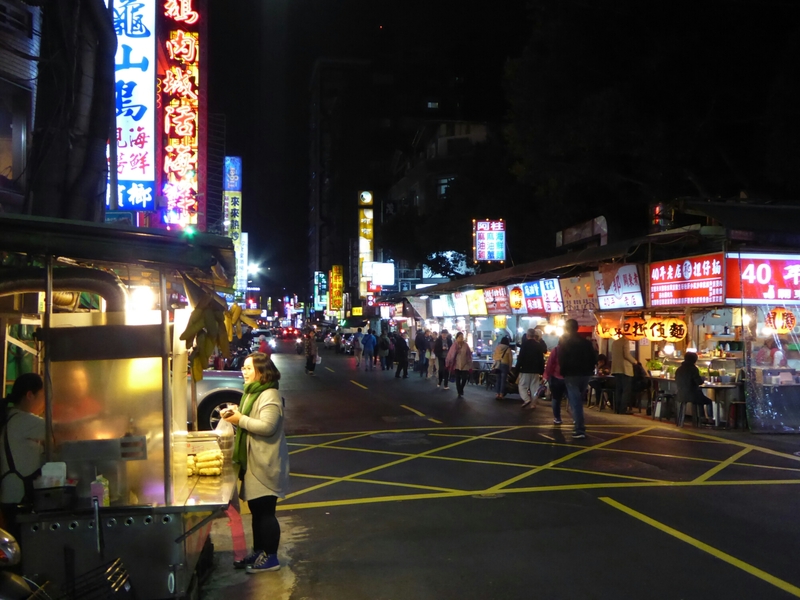 Wuxing Street (Taipei 101 metro line 2) – different to Shilin and Raohe as its mainly a street with many cafes and restaurants which also has a few street stalls. It’s not pedestrianised, so don’t wander down the middle of the road! We ate really good fried pork dumplings which were really juicy. We went here late and some of the cafes were closing. Ningxia night market (Zhongshan metro line 2/3) – small but diverse, with a row of stalls on a pedestrianised street. We tried Bitter tea (kucha), exploding chicken roll, sweet potato balls which seem to be available everywhere and vermicelli with oysters. I got the feeling this was a very “authentic” market. Liaoning night market (SongJiang Nanjing metro line 4) – similar to Wuxing street as it is mainly restaurants with a few stalls but it’s a whole road of eateries which includes very good fish restaurants. 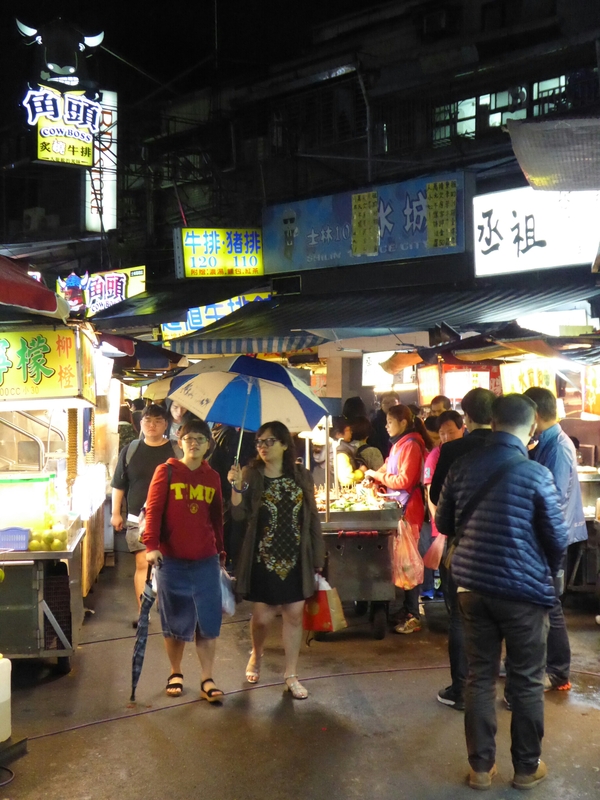 We love eating good food and loved our experience exploring the vibrant street food markets of Taipei.